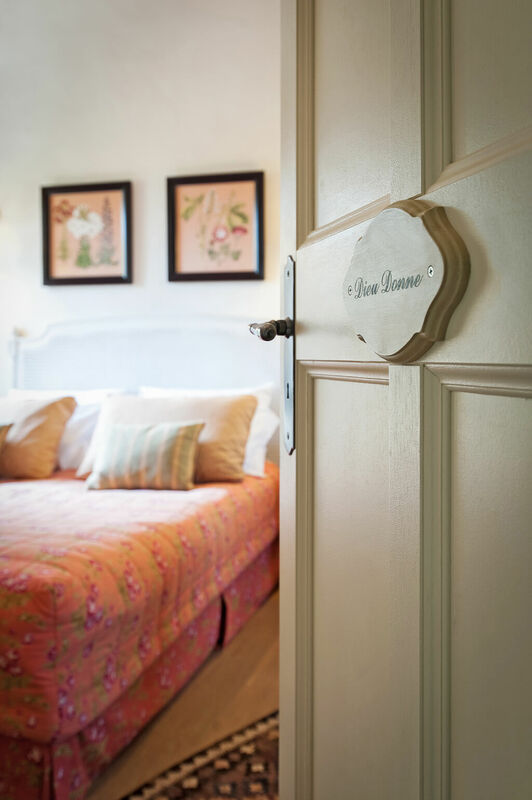 Join me for an inspiring peek at Old World style, rustic elegance, and French country loveliness in the South of France! 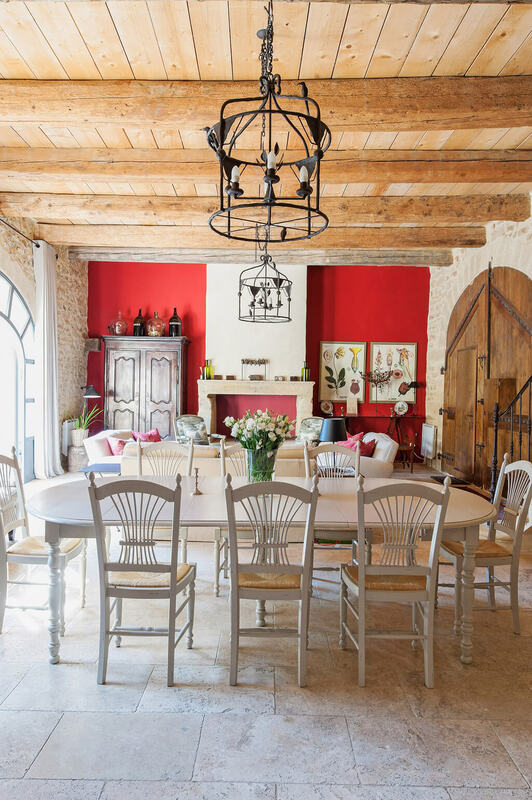 House Tour: Inspiring Provence French Farmhouse offers inspiration for admirers of French design style, French farmhouse, Country French, and European inspired rustic country style. 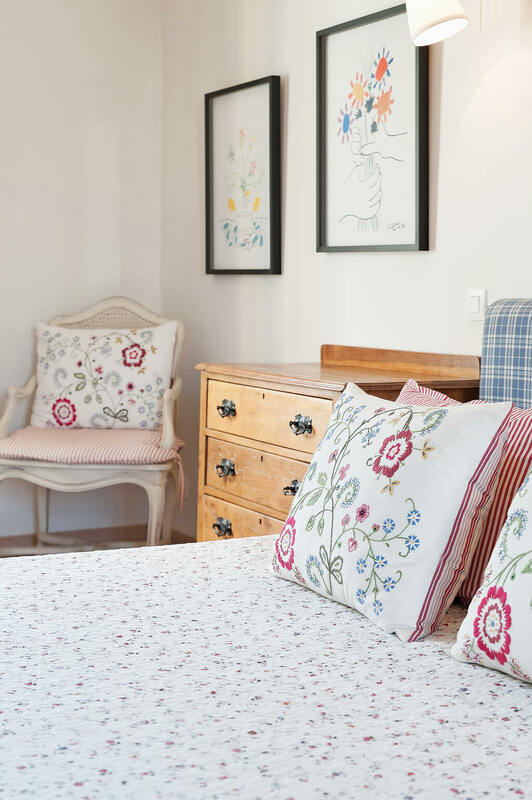 Photo: Haven In House Tour: Inspiring Provence French Farmhouse. 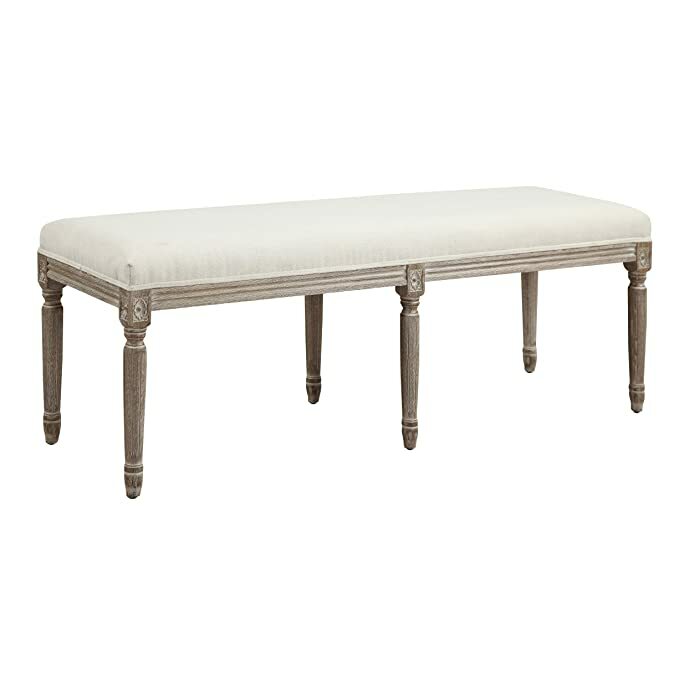 Rustic French Country decorating inspiration and Old World Charm. 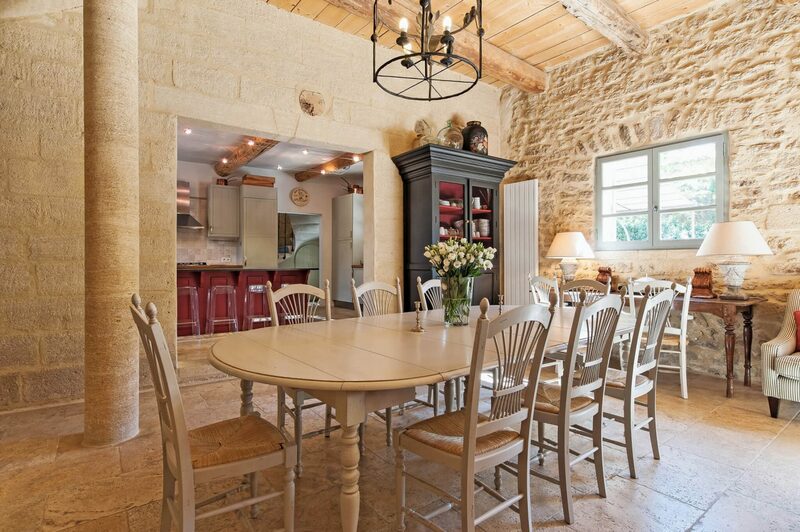 Provencal Villa in Vers-Pont-du-Gard…certainly lovely indeed. Pin me to lift someone’s gaze! 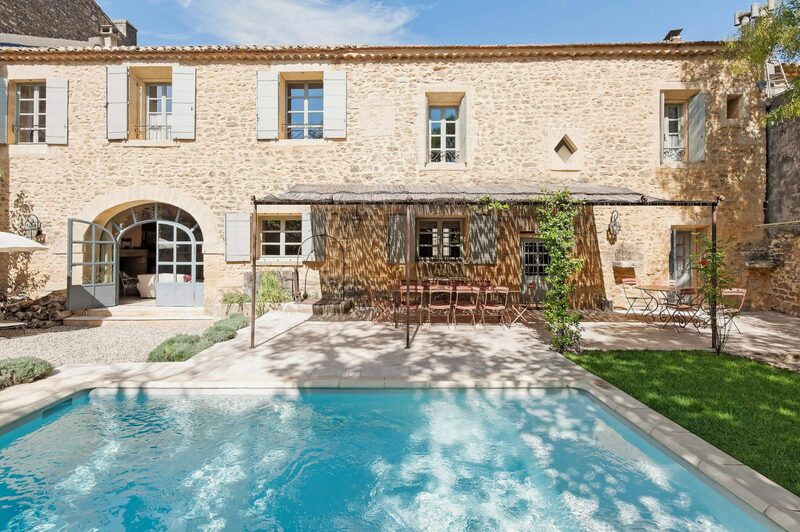 Bastide de Castillon is a five bedroom, five bath, 2,691 s.f. 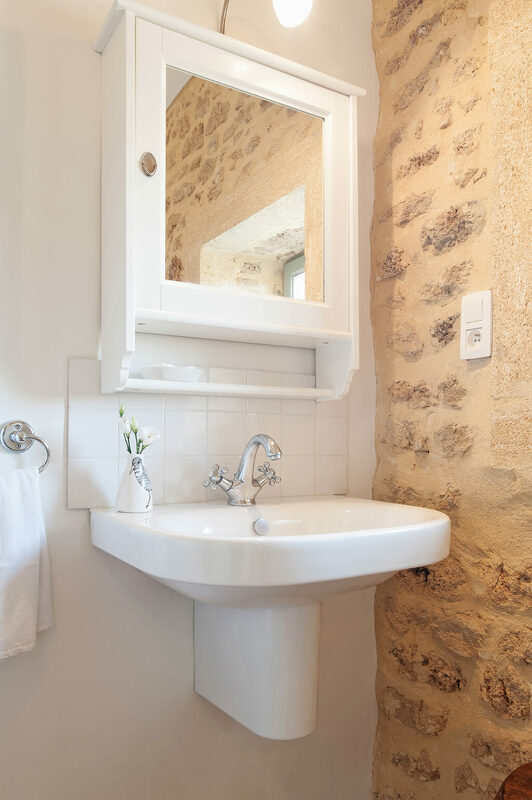 Provence vacation rental in the village of Vers-Pont-du-Gard offered by Haven In. I learned about Haven In when we sought an apartment to rent in Paris, and the firm manages properties across Europe. Haven In. 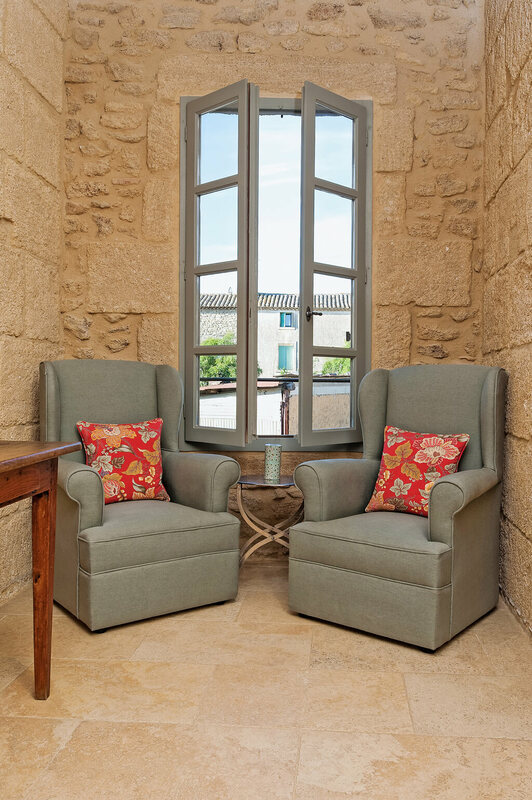 Natural stone walls, traditional style interiors, warm red accents, and wood beams in a South of France vacation house. 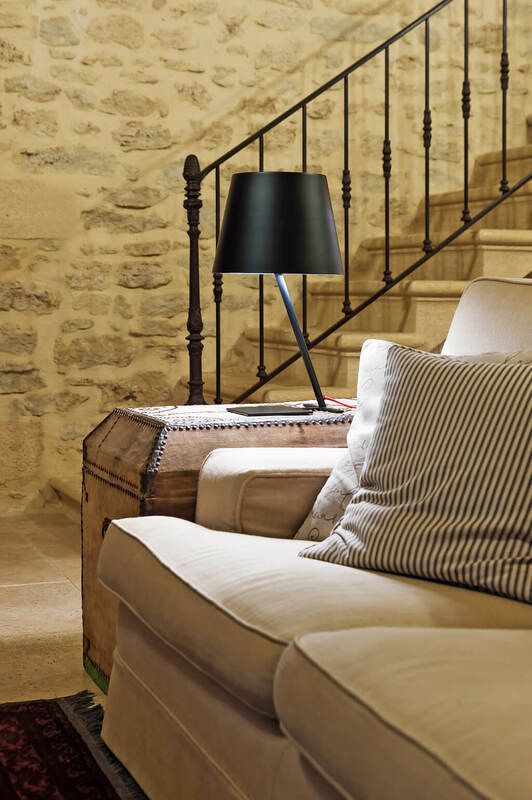 Rustically elegant French farmhouse interiors. 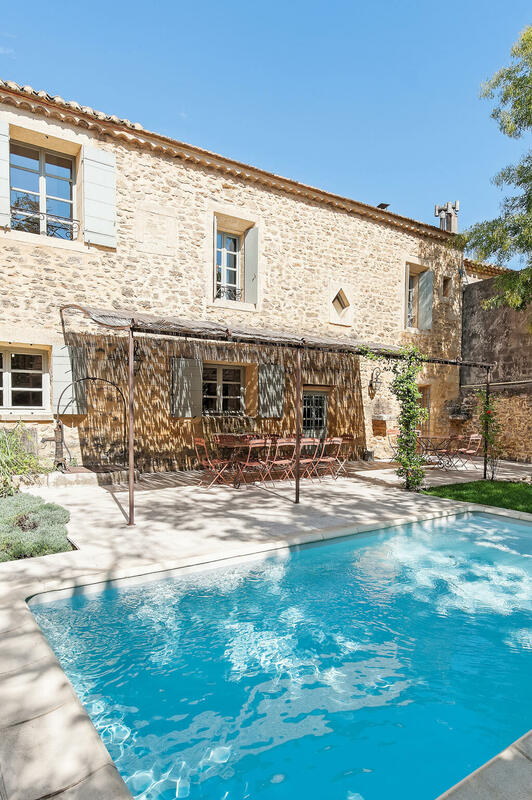 Outdoors, Bastide de Castillon boasts a courtyard and terrace, swimming pool, dining space, and lush gardens with fruit trees. 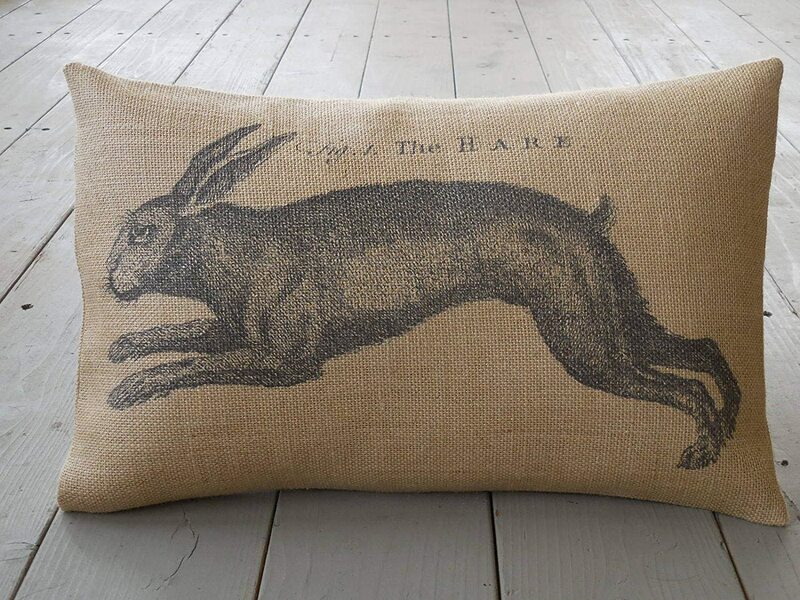 Pin me to spread the loveliness! 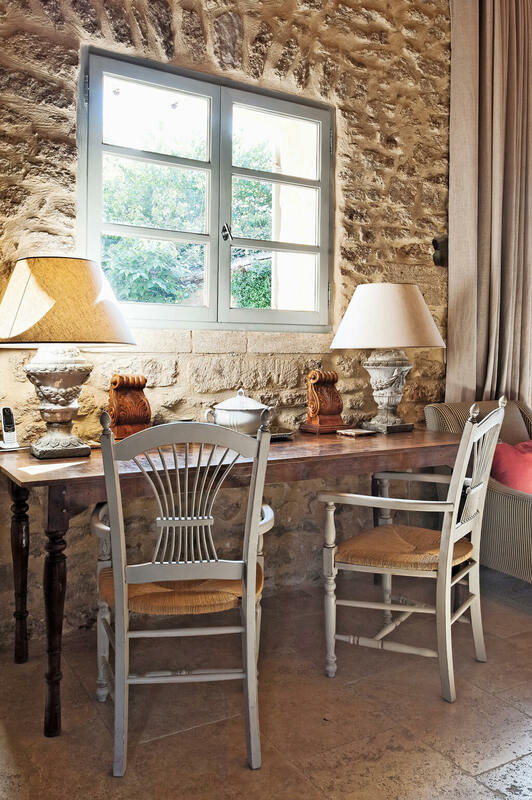 Photo: Haven In House Tour: Inspiring Provence French Farmhouse. 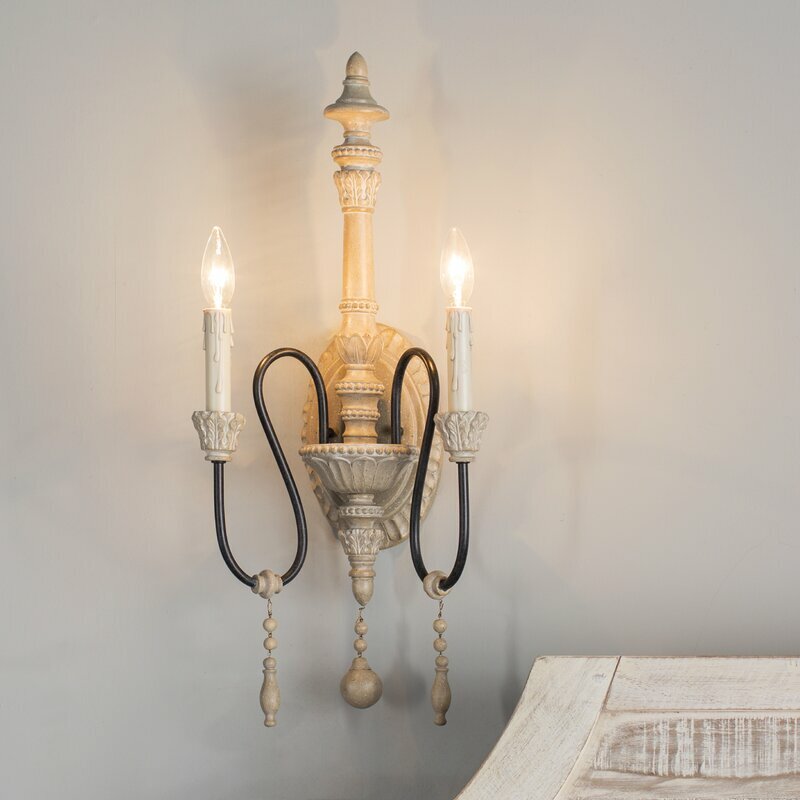 Rustic French Country decorating inspiration and Old World Charm. 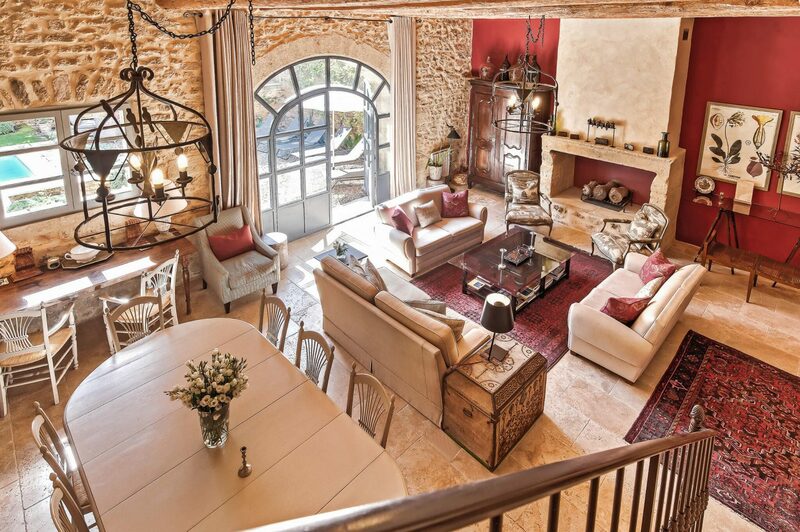 Provencal Villa in Vers-Pont-du-Gard…certainly lovely indeed. 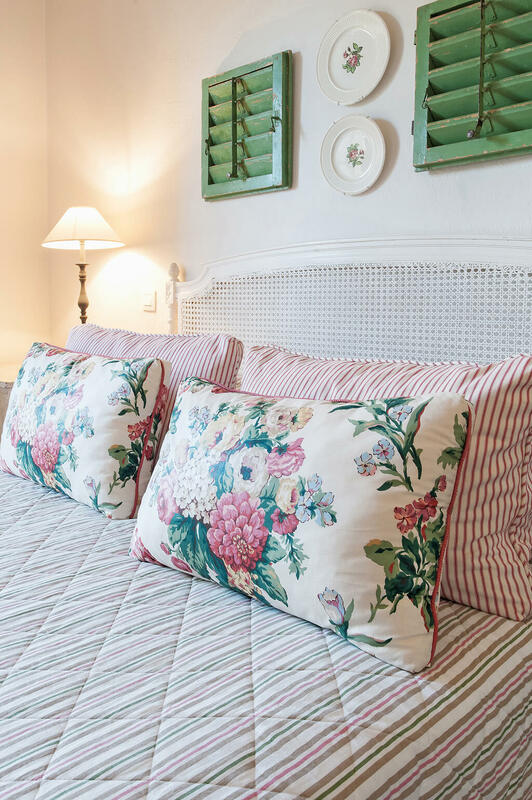 Photo: Haven In House Tour: Inspiring Provence French Farmhouse. 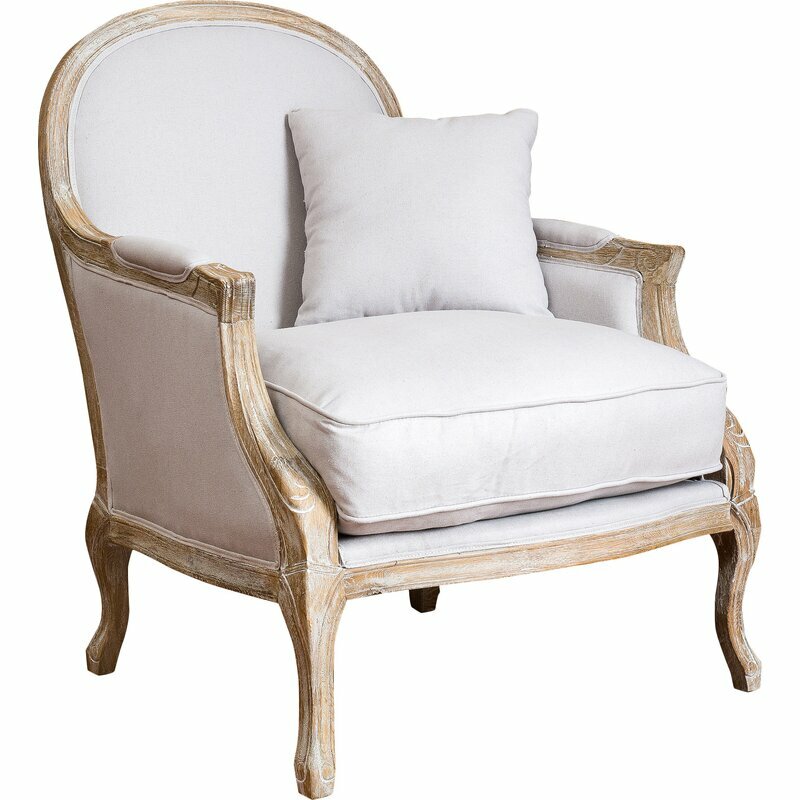 Rustic French Country decorating inspiration and Old World Charm. 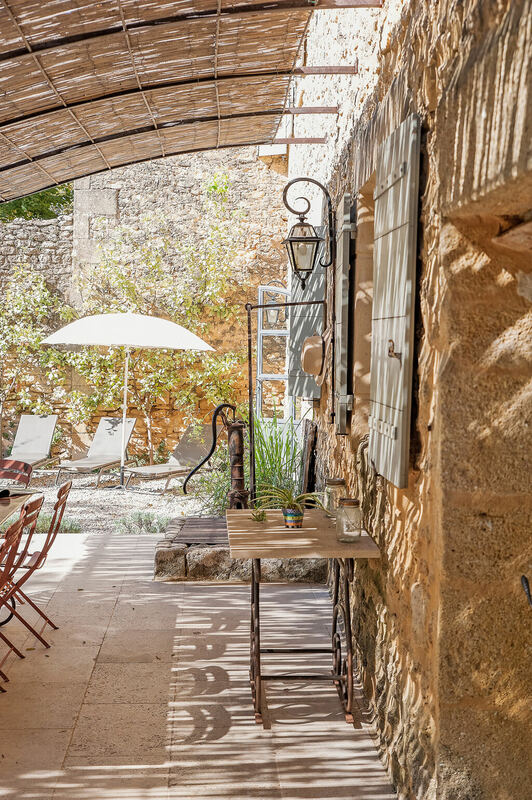 Provencal Villa in Vers-Pont-du-Gard…certainly lovely indeed. 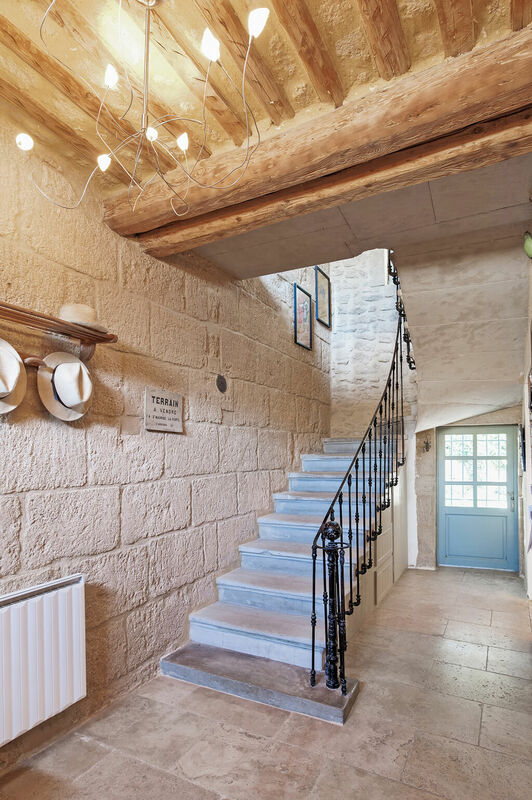 This historic stone farmhouse in picturesque Côtes-du-Rhône wine country was renovated and thoughtfully yet effortlessly decorated and outfitted with modern conveniences. 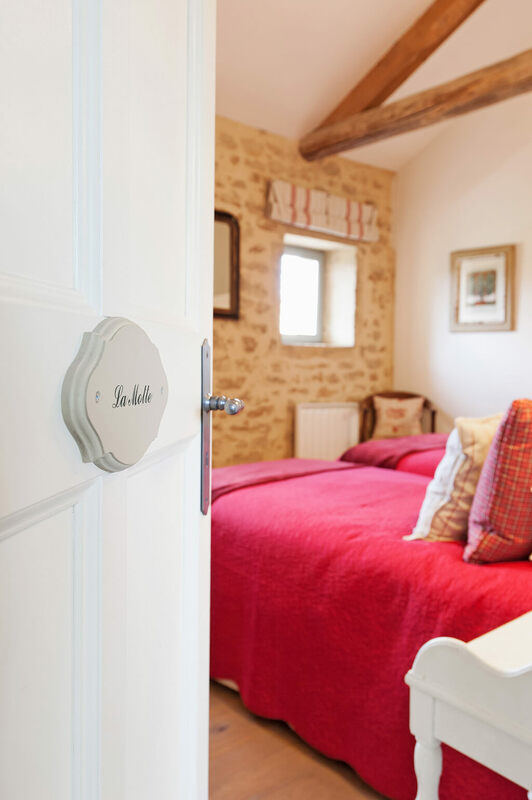 The bastide makes an ideal getaway which will sleep up to 10 people. Pin me to spread the love! 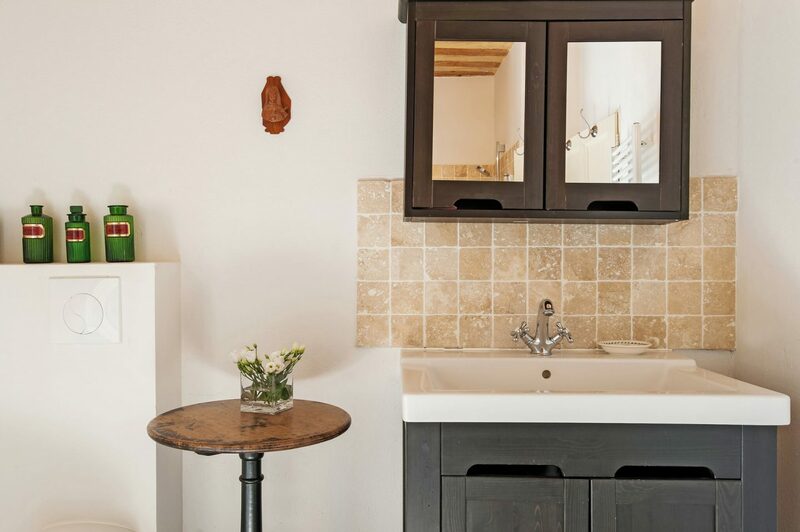 Inspiring interior design elements include original stone walls, traditional style antique furniture, warm red accents, rustic wood beams, and a modernized kitchen. 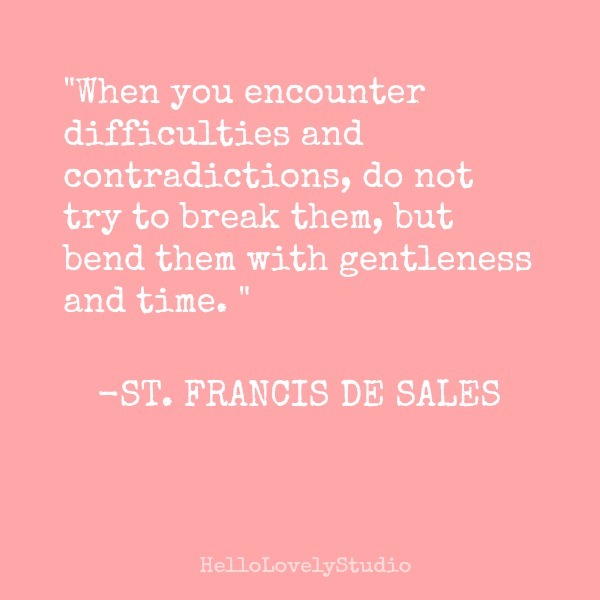 Pin me to spread the message of gentleness! Aint it the truth!?! Pin me! 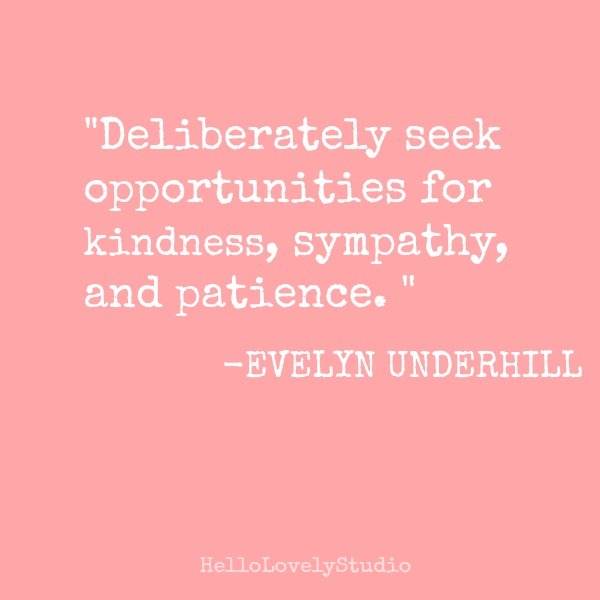 Pin it to spread the inspiration! She’s so wise! 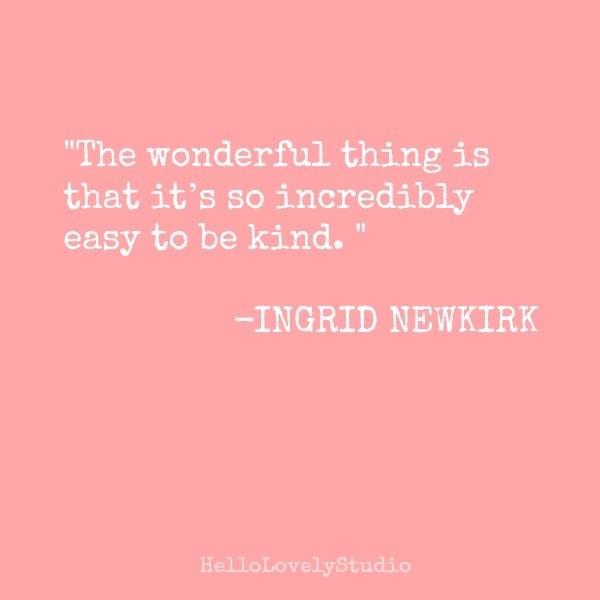 Pin it to spread more kindness. 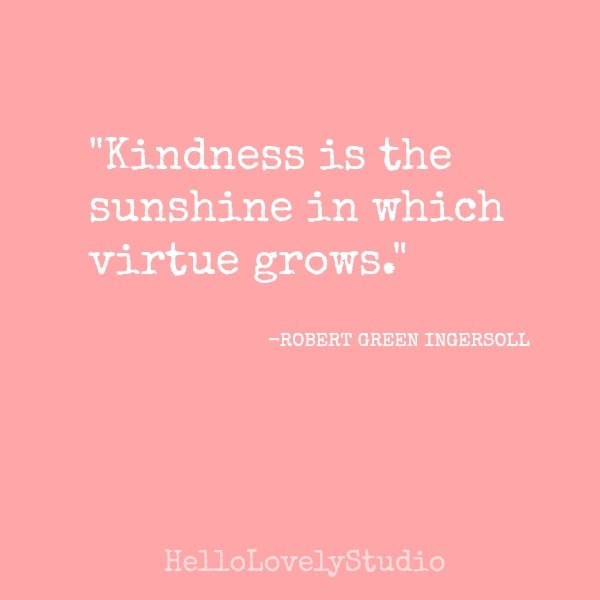 Pin me to spread the kindness! 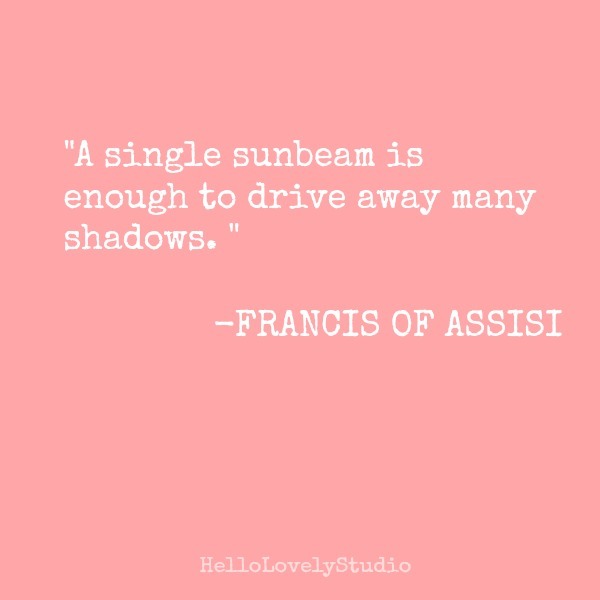 Oh, let it blossom in droves! Haven In. 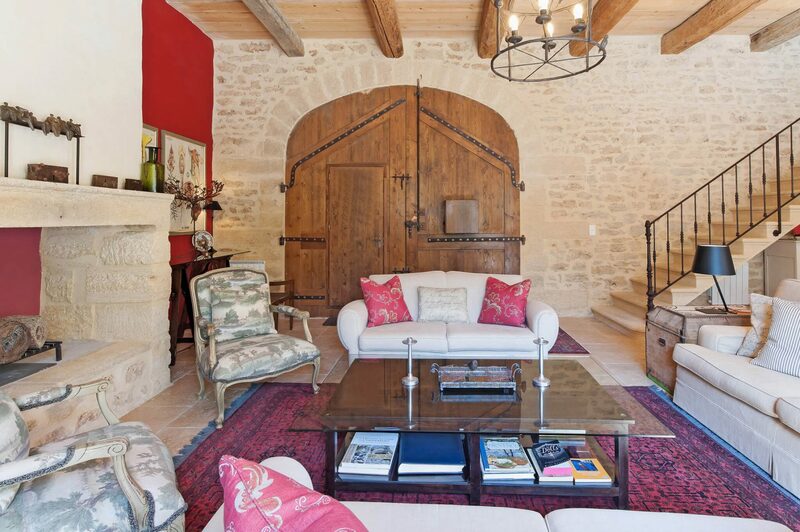 Natural stone walls, traditional style interiors, warm red accents, and wood beams in a South of France vacation house. 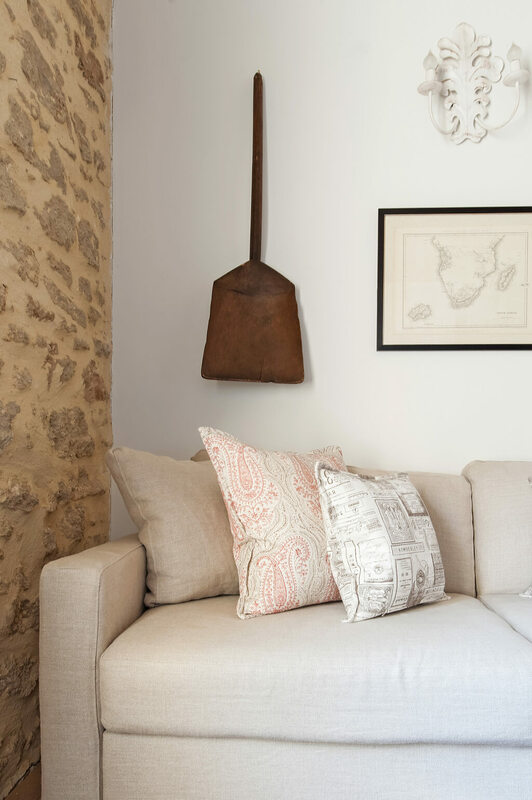 Rustically elegant French farmhouse interiors. Haven In. 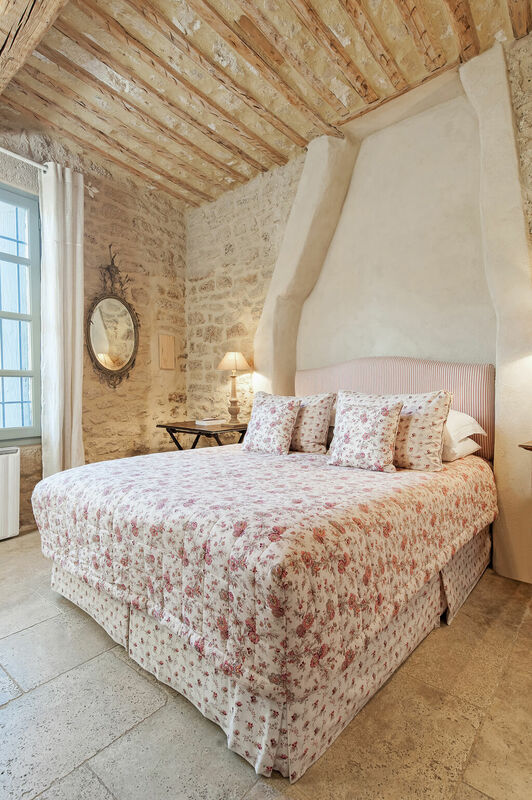 Natural stone walls, traditional style interiors, warm red accents, and wood beams in a South of France vacation house. 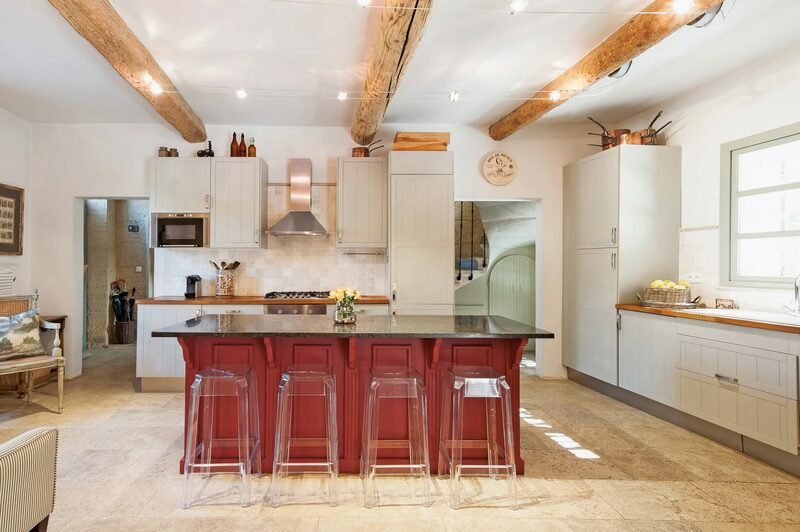 Rustically elegant French farmhouse interiors. 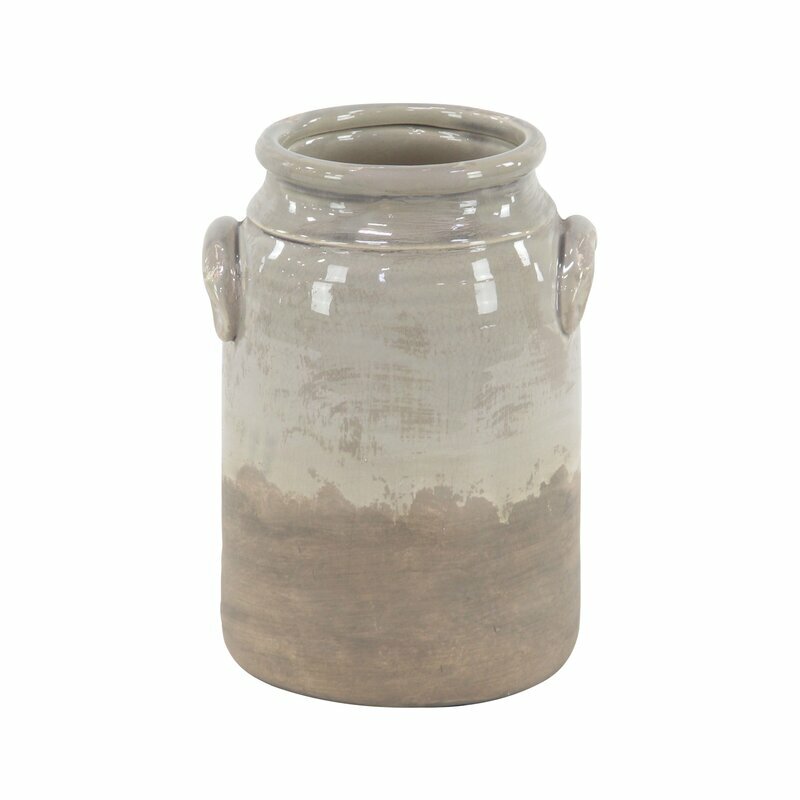 Rustic Table Vase. 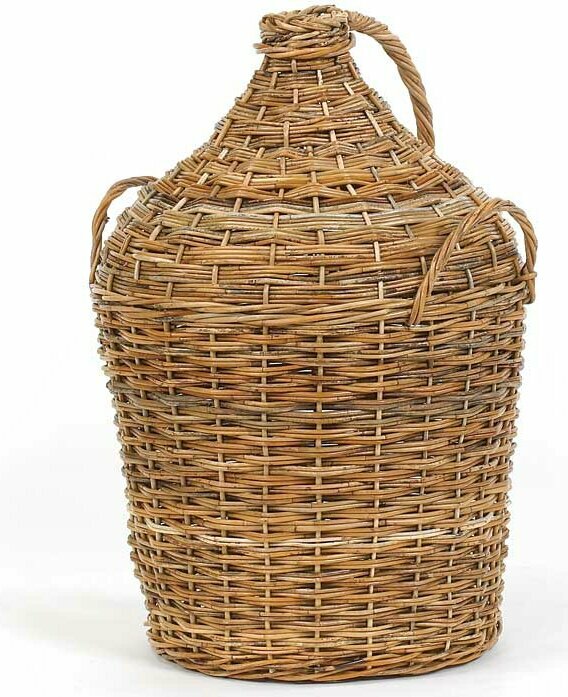 Rustic French Farmhouse Decor Finds for the Home! 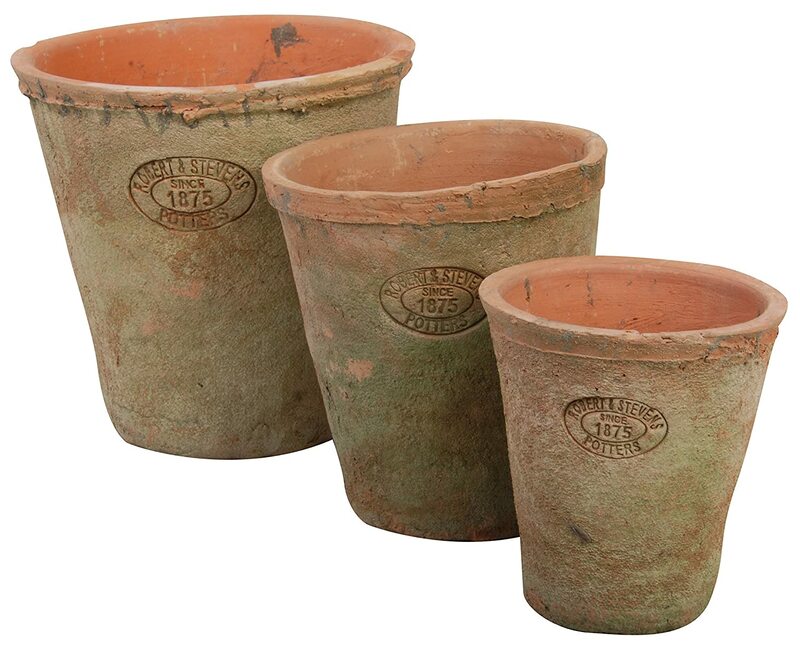 Rustic French Farmhouse Decor Finds for the Home! 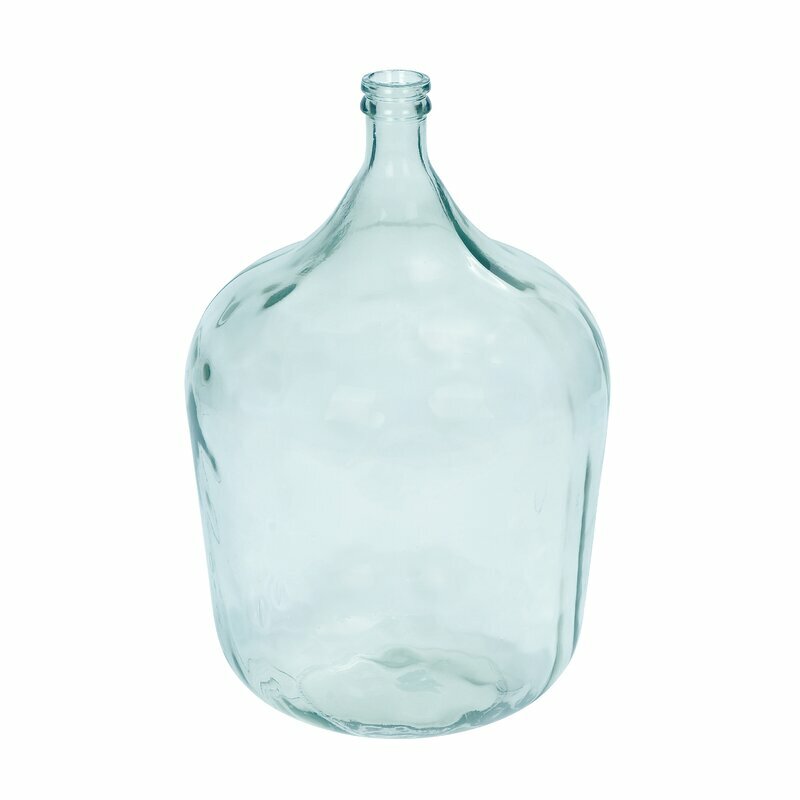 Parisian Inspired Glass Jug Vase. 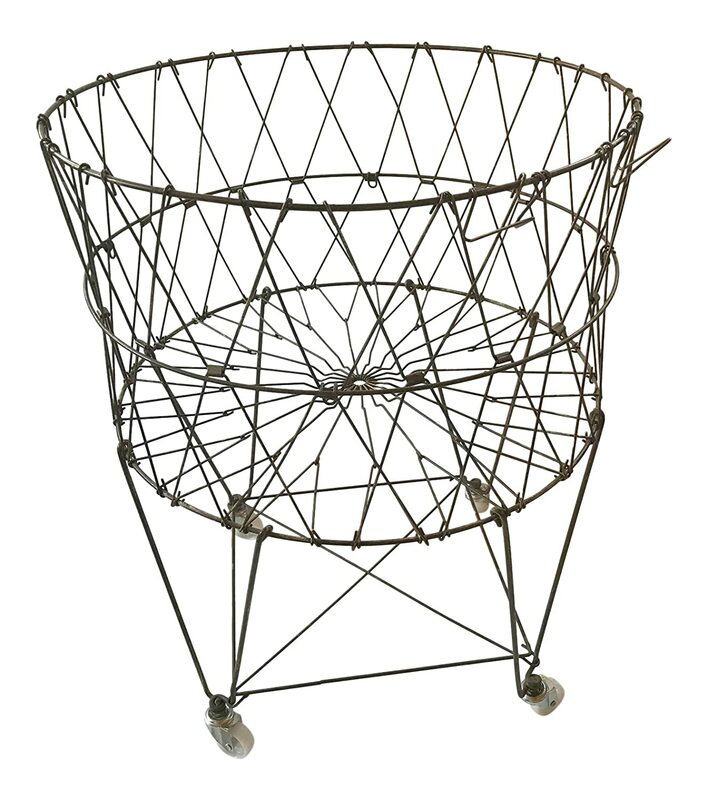 Vintage reproduction collapsible French Wire Basket. 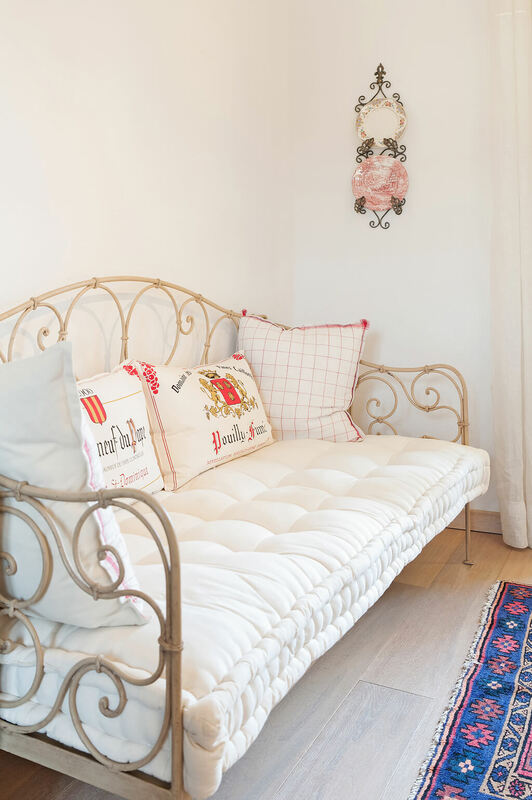 Do you ever watch House Hunters International and dream “What would it be like to actually OWN an authentic French farmhouse?” Well, sometimes even with a limited budget, such dreaming can lead to pulling the trigger! 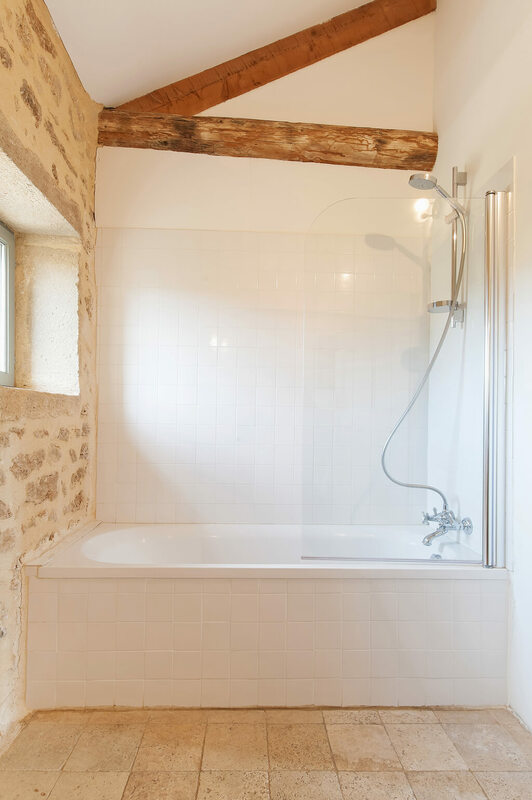 See THIS STORY with more pretty French farmhouse interiors than you can shake a French lavender stick at…to be more enlightened and fully inspired by another charming, smaller farmhouse renovation! 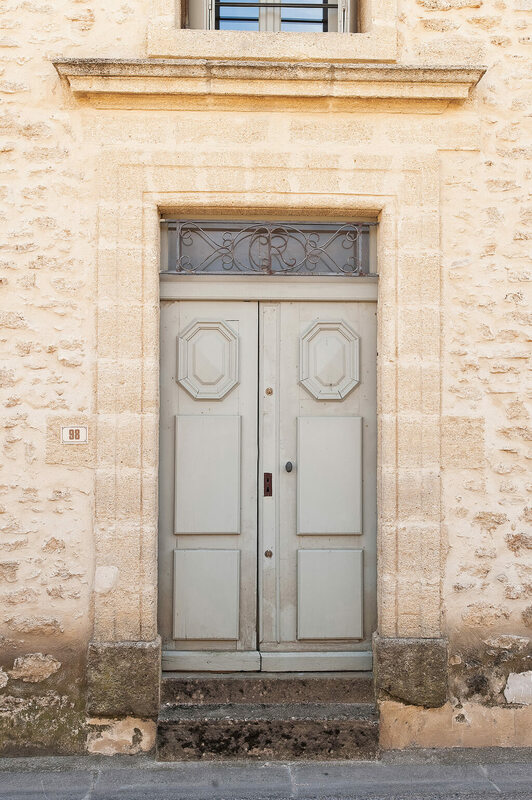 See more Old World French architecture and interiors in this video (and skip to 19:15 if you can’t wait to see which home this couple settled upon!). What a doozy of a challenging health week it has been for this blogger! 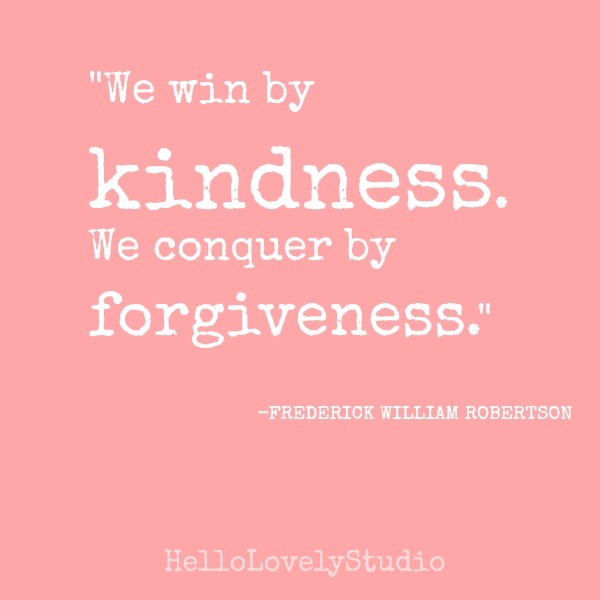 Lord, have mercy, I am hoping the rest of February and March will be rich in healing and gentleness. If you are also struggling, I wish you wings to soar above the unlovely and breathe within the atmosphere of sweet GRACE. 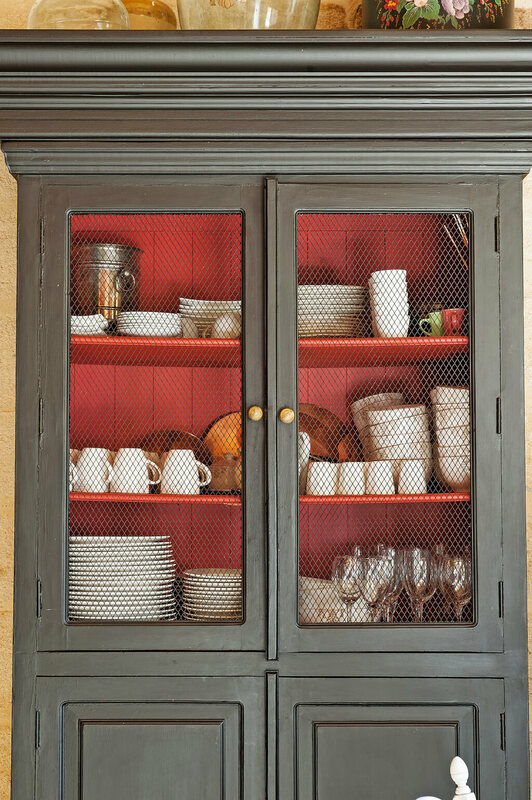 Next Post Inspiring Light Blue Kitchen Design Details! 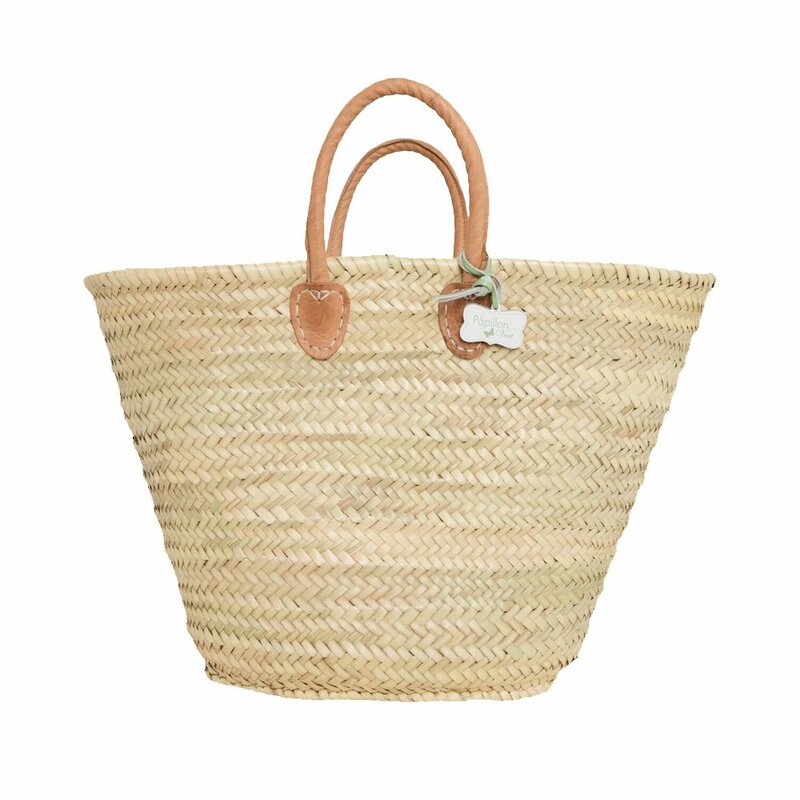 How exciting to be buying a second home in France! Medieval is not my idea of charming though. A beautiful apartment with tall ceilings, extensive moldings, tall windows & doors with billowy drapes, marble fireplace, wrought iron balcony…yes! I hope you are feeling better soon, Michele! I’ll send good wishes across the miles in hopes they bring you some respite from ill health. 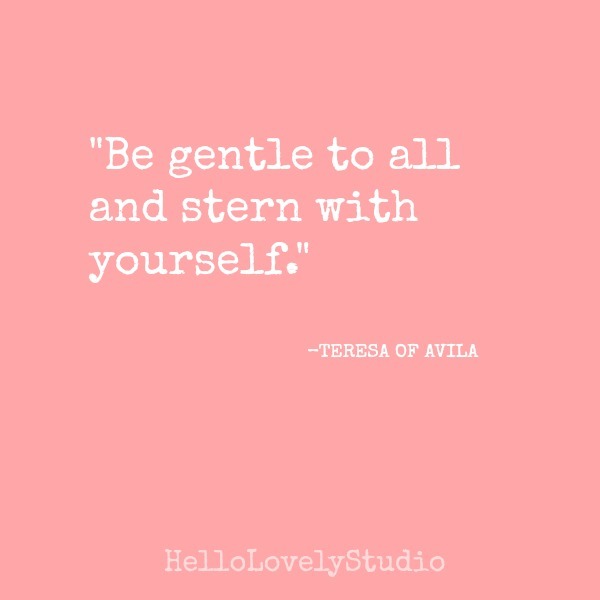 “Be Gentle to All and Stern with Yourself.” I disagree with the second part. I think we need to practice some self love. We need to accept our failings and not fall prey to the idea of perfection. Life is too short to beat oneself up over the little things. 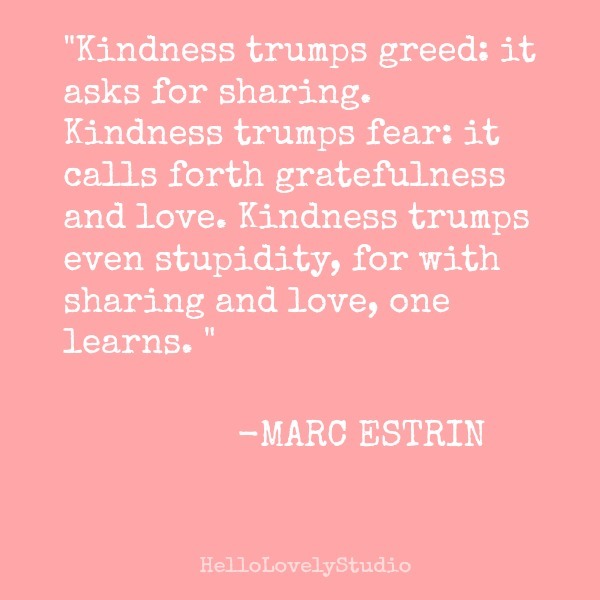 So I would say “Be Gentle to All, Especially Yourself”. I pin many of your sayings but this one bothered me so I had to come back and address it.